A customer and employee favorite here at Bulk Reef Supply. The Fauna Marin pellet foods use extremely high quality ingredients, with extremely high protein content, it makes a great food to keep your favorite large fish healthy. 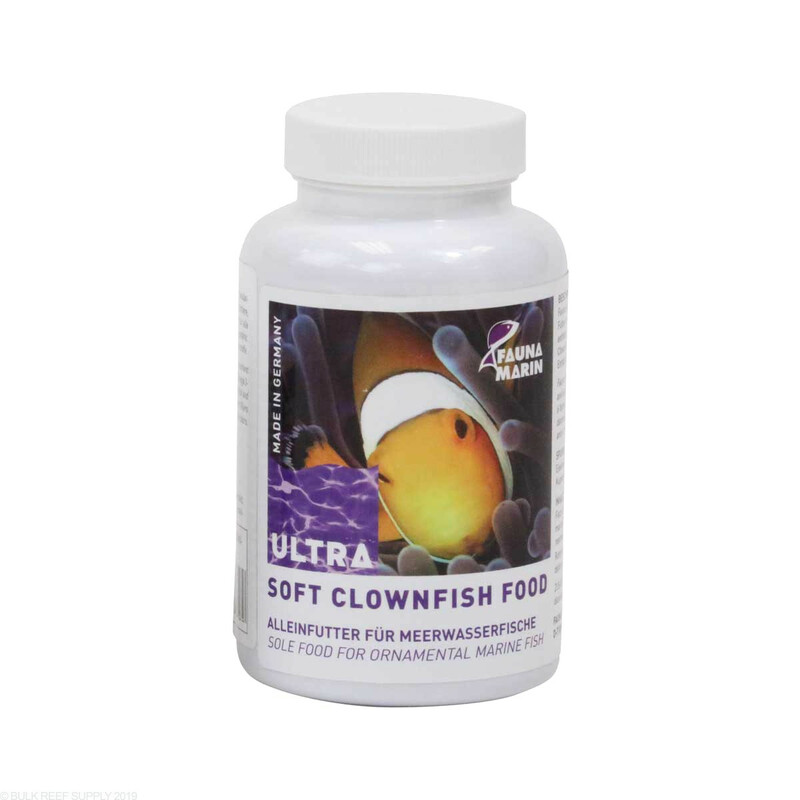 Fauna Marin Soft Clownfish food is made for clownfish and damsels. Made from soft granular food with high nutrient content - very similar to natural food. What is the size of the large pellets? I purchased the medium pellets and they were very small, smaller than 1mm. Are the large pellets 1mm? There will be a certain amount of variation with this pellet, but the average particle size is between 1.5 and 2 mm.